High quality workmanship for a fair price! 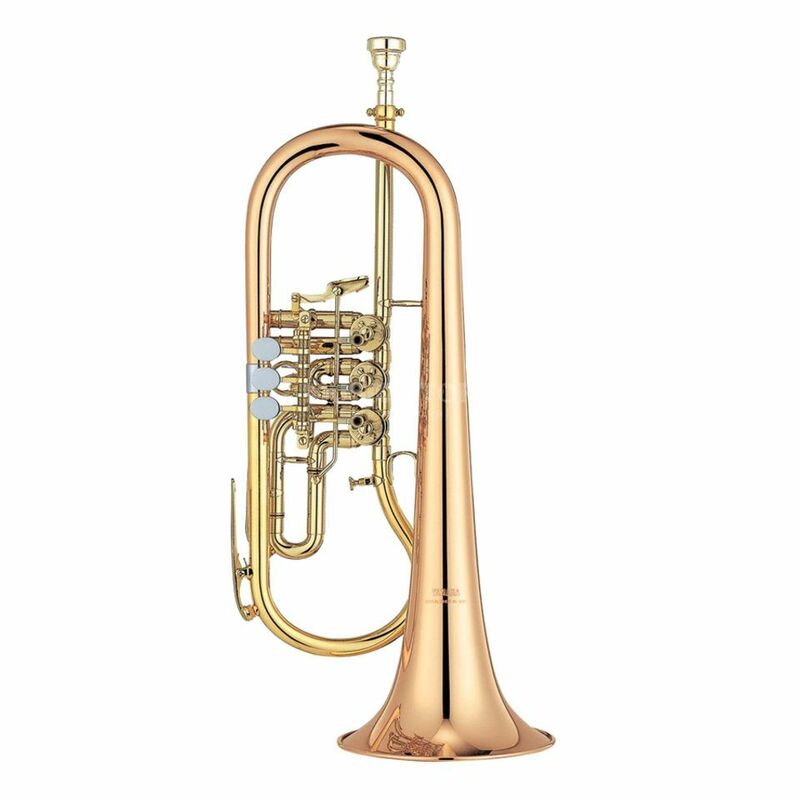 The YAMAHA YFH-436G Bb-Flugel Horn combines the warm and rich sound of traditional german flugel horns with ultra-modern technic to improve playability and intonation. This offers much more arrangement possibilities for the musician. The YFH-436G is made out of finest yellow brass. This awards the instrument a warm and unmistakable sound with a lot of colors and an easy attack point over the whole tone range. The tricking valves of the YFH-436G are easy running and comfortable to play. That offers the player playing fast or difficult passages easily. Another bonus is the excellent intonation which improves playing in ensembles a lot.